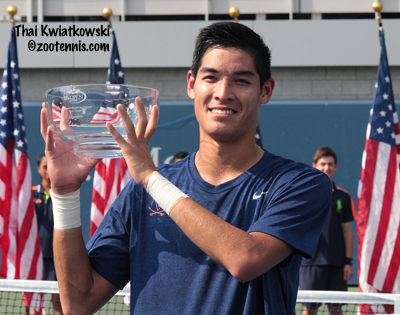 The American Collegiate Invitational titles were decided on Saturday, with University of Virginia senior Thai Kwiatkowski taking the men's championship and recent University of Virginia graduate Danielle Collins claiming the women's championship. The second-seeded Collins, the reigning NCAA singles champion, fought off a spirited comeback from Ronit Yurovsky of the University of Michigan to post a 6-2, 6-4 victory and earn a wild card into the 2017 US Open qualifying. 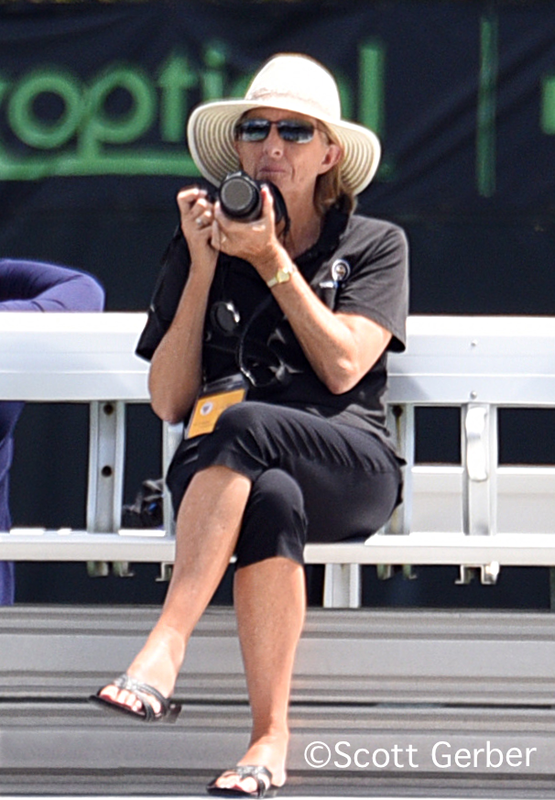 On an unseasonably warm and humid day at the USTA Billie Jean King Tennis Center, Collins got off to a fast start, taking a 5-0 with Yurovsky unable to do anything but defend herself from Collins' ground strokes. "I got off to a really hot start," Collins said. "It's something I've been working on, trying not to give too many opportunities to my opponent early on. I want to get the momentum early so I'm not having to fight back. But she has a tendency to get off to a slow start and I was kind of aware of that. But she's such a fighter, and her game is so versatile and she can do so many things, that I knew when I was up 5-0 she was going to do something drastically different to get on the board. I was expecting it but she really amped it up for sure." "I'm known to have slow starts," said Yurovsky, who graduated from Michigan this year. "It usually takes a couple of games to get into it, which I've been working on. It was a little bit of nerves, but I didn't feel I could get into the points; she definitely took me out of rhythm really fast." But once Yurovsky broke Collins to get on the board and held for 5-2, she was back in the match. Serving for the set a second time, Collins had to save four break points before finally getting a set point, which she converted when Yurovsky's second serve return went long. "I just had to tap in and concentrate really hard," said Collins. "I had to make sure technically I was doing the right things on my serve and preparing once I got my serve in the court." Yurovsky believes that in addition to Collins' big ground strokes, another of her talents is that concentration. "She has the game, she's very powerful so it's hard to be in control most of the time," said Yurovsky. "She does a really good job of staying on the baseline and going after it. I think she plays really free, doesn't get tight at all and goes for everything, so it's hard to get some free points off her. And mentally, I think she's always really focused, and she's in it every single point." Yurovsky was up a quick break in the second set, but Collins got right back in it with a break at love. Another exchange of breaks made it 3-3 and when Yurovsky was broken to give Collins a 4-3 lead, she called for a trainer, who worked on her abdominal area. "I tweaked my ab a little bit, but it's probably just a little strain, it's ok, it should be fine," said Yurovsky, who will have it looked at before whether deciding to play in the qualifying of the Atlanta $50K Sunday. Collins won the next game, for a 5-3 lead, but Yurovsky forced her to serve out the match, and at 0-30 in the last game, Collins was not safe. But after bringing it back to 30-30, she hit a good first serve and then an overhead winner to seal the win, having taken all three of her victories in straight sets. 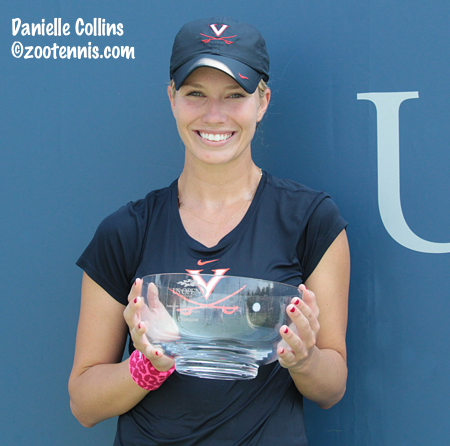 Collins, who lost in the first round of the main draw with the wild card she received as the NCAA champion, will resume her pro career at the $25,000 USTA Pro Circuit event in Stillwater Oklahoma at the end of this month. The 22-year-old from St. Petersburg, Florida believes she has the game for success on the WTA Tour. "I'm very versatile, I can play offense and I can play defense," said Collins, who will resume her training with Nick Bollettieri at the IMG Academy next week. "I have big weapons from the ground and my serve is also improving a lot. I'm very confident with my game, and emotionally, I think have a perfect personality for playing on tour, because I'm really tough. It's not for everybody. Some people don't want to play matches every week, and lose. But I like playing tennis, I love playing tennis, so it's fun for me. So I'm going to be doing this for a while." As well as Collins played in her three matches this weekend, fellow Cavalier Kwiatkowski, the top seed, did even better, dropping only ten games in his route to the title. Against No. 4 seed Austin Smith of Georgia, Kwiatkowski jumped out to a 5-1 lead in the first set and never looked back, taking a 6-2, 6-2 decision to earn a US Open qualifying wild card for 2017. 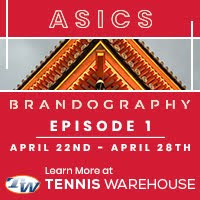 With the men's doubles final decided in straight sets, there was a gap before the women's singles final, and many of the fans gathered around Court 5 to watch the match between two young Americans who have known each other throughout their junior and college careers. "I think everyone didn't have much to do so they decided to come over," said Smith, who graduated this year from Georgia and will head to Israel for Futures events in the upcoming weeks. "It was good timing for us, it was nice. I would have liked to be in Thai's shoes in front of all those people, rather than mine. It wasn't too good for me, but it was fun." Kwiatkowski was happy with his level of play throughout the event. "Having the experience of being here last year, as well as being here a couple of weeks ago for qualies, I was able to find a routine, which I wasn't able to find in my past experiences here," said Kwiatkowski. "There's a lot going on and it's hard to really focus. The last three days, I was really able to focus on playing tennis, which was a first for me, being here in New York." "I felt like I served well," said Kwiatkowski, who had seven aces in the match, making 69 percent of his first serves. "I was focusing on a high first serve percentage, so obviously that was a big strength for me today. It was super hot out there, so I wanted to the first strike, because if you're running a lot, it's going to be tough." Smith said Kwiatkowski's serve was key to his impressive performance in the final. "He makes people uncomfortable and he definitely did that to me today," said Smith, who did not have a break point in the match. "His serve was unbelievable today, he must have aced me ten times. I don't know the exact number, but every time he was making a first serve, I was barely getting to it or acing me. I didn't really have any chance on his serve and that led to pressure on my serve." Kwiatkowski, who received a wild card into qualifying this year, lost his first match to Henri Laaksonen of Switzerland in three sets, but knowing he'll be back again next year is comforting. "I definitely think it's a super way to start a career," said Kwiatkowski, who has won two NCAA team titles with the Cavaliers in 2015 and 2016 and was named the Most Outstanding Player in the tournament this year. "After I graduate next year, hopefully I'll be able to take some time off if our team has another great NCAAs and come back next year and really prepare well." Kwiatkowski, who played six Futures and a Challenger this summer, reaching four semifinals and a quarterfinal in the Futures events, knows how valuable that wild card can be. "I was a bit fried from this summer," Kwiatkowski said. "That first experience you have playing a grand slam is a special one, and it was really cool to be out here two weeks ago, and I hope I can do a little better a year from now." Kwiatkowski said he will probably play the ITA All-American Championships in Tulsa next month, but does have his studies to consider. "I can't miss too much school, because of my major," said the 21-year-old from North Carolina, who studying business at Virginia. I will have an update later this month on all 16 participants in this year's American Collegiate Invitational.